Take a tour of your local bank and learn about finances. 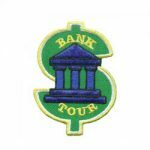 Remember the event with our bank tour patch. 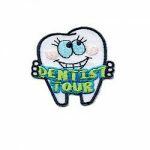 The “Dentist Visit” Patch from MakingFriends®.com is a way to remind the wearer your trip to the dentist does not have to be scary. Help make it a fun, memorable experience with a colorful patch as the reward. Iron on! 2″ embroidered patch. 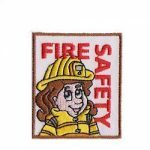 The “Fire Safety” Patch shows that your group is Fire Safety Savvy. 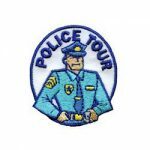 Add a “Police Tour” Patch to the activity when you take your group to tour the Police Station to learn about the services provided by local police men and women. What a great way to build self-confidence in your girls! 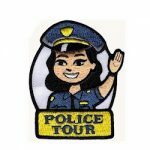 Take a tour of your police station and give the girls a patch with a woman police officer.